We offer fast and free shipping on all of our orders so you can spend more money on stuff you want! We stand behind all of our products and want you to buy with confidence! If for any reason you are not happy with your order simply contact us and we will make things right. All of our products are made with the highest quality materials and built to handle everyday use. As a company based in the USA we pride ourselves on providing the highest quality products and customer service to our fellow 2nd amendment supporters. Bear Armz Tactical was founded on deep rooted principals of the second amendment and we believe that everyone has a right to protect themselves. With this in mind, our mission is to give everyone access to high quality, reliable products at an affordable price. 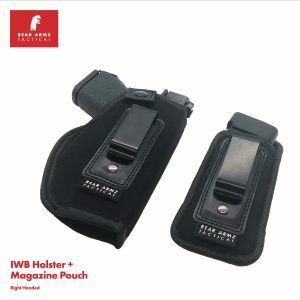 Our catalog consists of products that are designed to allow you comfort, protection and piece of mind. We use only the highest quality materials and hold our products to the highest standards. 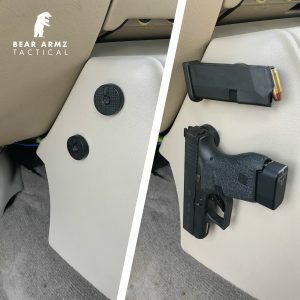 When you purchase a product from Bear Armz Tactical, you will receive a high quality product with 100% satisfaction guarantee. I purchased this one because of the good reviews. Well I got it yesterday and put it on with my Glock 43. Wow! Very comfortable, I don’t even notice it’s there except for a little extra weight on that ankle. With that top strap it doesn’t move around at all. For the price I paid($14) I’m impressed with the quality stitching and overall build. This just solved my problem of carrying appendix when going out to eat or tucking in my shirt. I know it’s not the fastest draw but you can work it in to your training. You can use the old, “I have to tie my shoelace” trick if you’re being followed. Lol. Wish I tried this 2 yrs ago. I would’ve enjoyed those ribeyes a lot more without a Glock in my gut....at $14 it’s a steal! This is the first ankle holster that I have used that stays right where I want it. No movement no slipping if you get it right and it does not have to be so tight its uncomfortable. 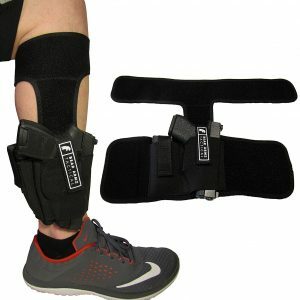 I am a big fan I can actually use it without having to wear my boots to help stabilize it like I do with my other ankle holsters. I have worn with loose fitting sweats and tennis shoes not problem like I said big fan. If you ever need a quality product like a belly band then this is the only company you need to look to. It is well made and very comfortable. Had a little problem with the one I got and they immediately sent out a replacement without the normal arguments you have with other companies. So please don't try and scam this company as there are not many honest left like them. I for one will look to the company for any other they sell. Love this holster! It is extremely comfortable and lightweight. I like the fact that it comforms to your body and you barely even notice that you are wearing it. 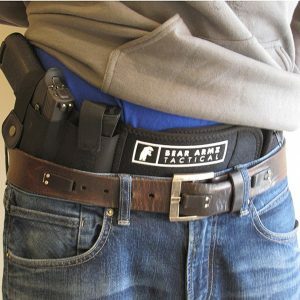 You are not limited to wear something with a belt so to conceal carry your gun. The concealabilty that it provides is amazing and the price is right. I highly recommend this to everyone! I wore this band all weekend, while outside working, camping, splitting wood, sitting, standing, climbing. Gun stayed in place never moved, it's comfortable and works as intended. I don't see anything negative about this belly band. Would recommend for anyone wanting to conceal and carry.